Scottish salmon farmers produced a record harvest and exports last year as the industry continues to underpin the rural economy. The Scottish Fish Farm Production Survey for 2017, produced by Marine Scotland Science, reports that 189,707 tonnes were harvested, the sector’s highest ever output. The official annual statistical bulletin also reports increases of just over three million smolts put to sea as well other measures of productivity. The level of survival on farms has also improved to 79.1% compared to 73.3% in the previous year. Gilpin Bradley, chairman of the Scottish Salmon Producers Organisation (SSPO) said: “Volumes were strong and exports reached an all-time high with sales of £600m to more than 50 countries. 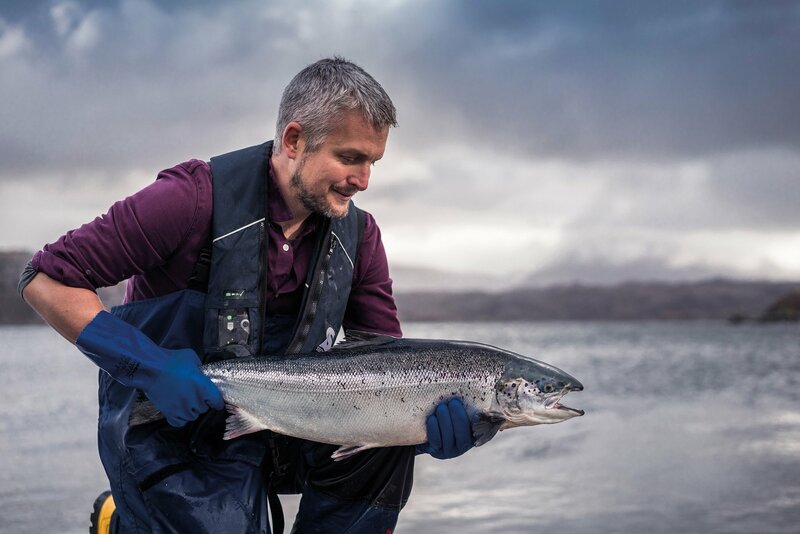 “Demand for quality Scottish salmon continues to outstrip supply and the sector aspires to grow to meet demand, but we also recognise the importance of steady, sustainable development. Ahead of an anticipated dip in production in 2018 because of gill health issues during autumn 2017 the sector is putting investment in place to help smooth fluctuations in production. Salmon farmers have invested more than £60m in new technologies and improved farming techniques, research projects and cleaner fish.